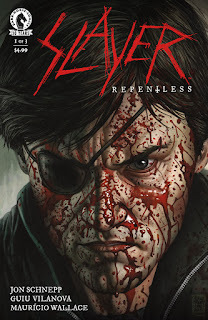 Legendary heavy metal band Slayer has teamed up with Metalocalypse writer Jon Schnepp and Twilight Zone artist Guiu Vilanova for a three-issue Dark Horse Comics series, Slayer: Repentless, with covers by Eisner Award–winning British comics artist Glenn Fabry. The first issue, with a variant cover by Eric Powell (The Goon), is scheduled for release on January 25, 2017. With its story of a raging road trip down a bloodstained highway, a tale of the doomed and the damned, the Slayer: Repentless series is an expansion of Slayer’s Repentless videos, written and directed by BJ McDonnell (Hatchet III). The band made an appearance at San Diego Comic-Con 2016, with a subsequent sold-out performance at the House of Blues, in support of the Dark Horse Comics series. 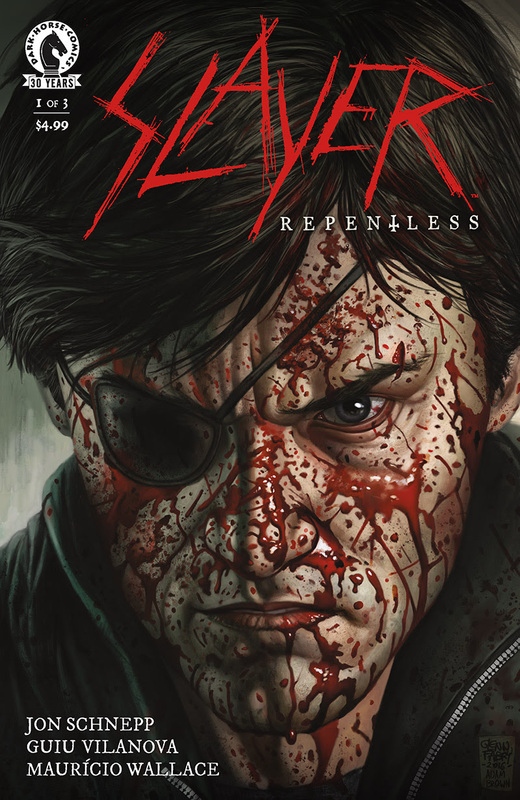 Slayer: Repentless #1 (of 3) is available for preorder at DarkHorse.com. 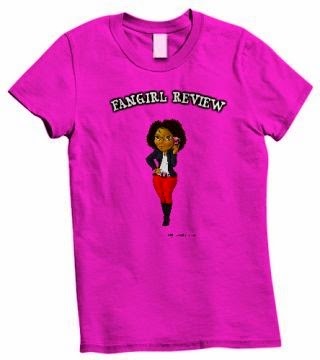 For all press queries, please contact the Dark Horse publicity department.